POWERHOUSEPC HOLDINGS is a leading importer and wholesaler of computer components in Australia, head office and warehouses in Sydney with own manufactory in Taiwan and dealers in England and Germany. We are able to consistently supply the latest technology products to our clients with the best service and deals. In our showroom at Silverwater, you not only can see all the products but also will be offered the expert advice and solutions by our experienced staff. With the experienced souring team and office in china, the well-established operations enable POWERHOUSEPC HOLDINGS to provide much wider range of products and services to local and international resellers and mass retail channels. Please Login dealer account to view our staff detail and contact information. Highest quality-The most experienced and strictest QC to ensure customers?satisfaction. 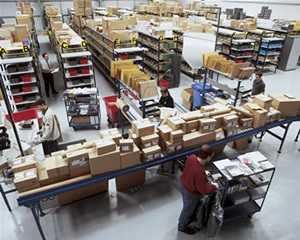 Competitive pricing- Factory direct with the well established logistic operation. Best-in-class service-Experienced staff with person to person account looking after. With the years support of our premium dealers we no doubt to keep looking for long term and successful business relationships for both of parties no matter it is a large chain shop, system house builders or SME.